In April 2016, the American Institute of Certified Public Accountants (AICPA) made an important update to the attestation standards that will affect your next SOC 1 audit. Statement on Standards for Attestation Engagements (SSAE) No. 18, Attestation Standards: Clarification and Recodification provides changes to SOC 1 audits and how attestation engagements are categorized. What is the reason for this change and how will SSAE 18 affect you? 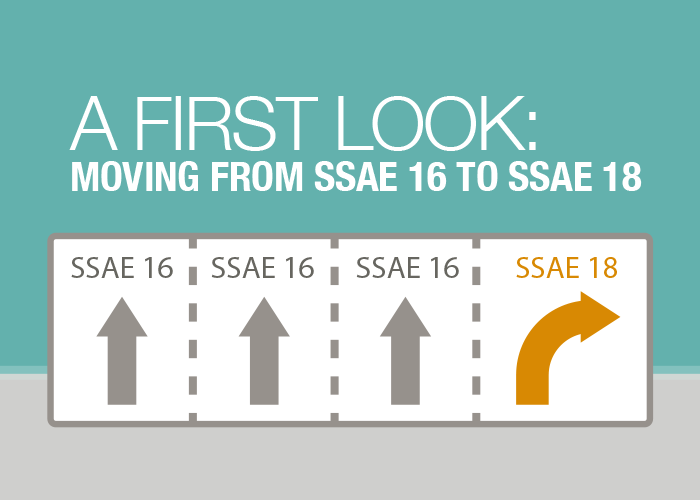 Why the change from SSAE 16 to SSAE 18? The AICPA is making some changes to the way we define attestation engagements, like the SSAE 16. Even though change can be challenging, this update known as SSAE 18, is helping to simplify and converge attestation standards to unify with international standards. The Auditing Standards Board (ASB) is converging standards in order to unify them with international standards. A big reason behind this change is so that regardless of which region of the world you’re in, the standards are accepted and unified. For example, if you are a client of ours who is doing business in Europe, you may have been issued an ISAE instead of an SSAE. The same goes for clients doing business in Canada, you may have been issued a CSAE. Another reason behind the shift from SSAE 16 to SSAE 18 is for the purpose of simplification. The attestation (AT) section of the AICPA professional standards (dealing with attestation engagements) contains several different standards. These AT sections are issued in the form of Statements on Standards for Attestation Engagements (SSAE) and are comprised of several SSAEs dealing with different types of engagements. This section deals with Agreed-Upon Procedures Engagements. In other words, you may have a client that is asking for an independent audit to perform these procedures on their behalf and prepare a report. This engagement was separate prior to the SSAE 18. 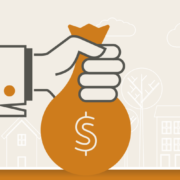 This section deals with Prospective Financial Information. This section deals with Compliance Attestations and provides guidance on how to perform compliance engagements that attest to compliance with laws and regulations. If you need an independent auditor to confirm that you’re compliant with HIPAA regulations or CFPB, for example, the auditor would refer to this section. The engagement that we used to call an SSAE 16 will now simply be referred to as a SOC 1 and will not be called SSAE 18. The two engagements that we encounter the most are AT-C sec. 205 (SOC 1, SOC 2, HITRUST, CSA) and AT-C sec. 320 (SOC 1). AT-C sec. 205 is applicable for independent subject matter that has been published that an independent auditor can use to attest to the fact that the client is complying with the controls in CSA or HITRUST. AT-C sec. 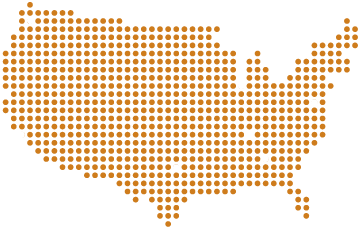 320 deals specifically with reporting on internal control over financial reporting. We most commonly see this with payment processors, collection agencies, data centers, or hosting systems who are hosting or running accounting or accounts receivable on behalf of clients. Those service organizations are responsible for the physical and environmental controls that may impact a clients’ financial reporting. SSAE 16 is only valid through April 2017. As of May 1st, 2017, these reports will be referred to as SOC 1, not SSAE 18. What are the changes to SOC 1 audits? The SOC 1 audit standard now requires that Management acknowledges and accepts its responsibility for identifying the risks that threaten the achievement of the control objectives stated in the description and designing, implementing, and documenting controls that are suitably designed and operating effectively to provide reasonable assurance that the control objectives stated in the description of the service organization’s system will be achieved. KirkpatrickPrice is urging clients to start getting management more involved in the risk assessment process because they must acknowledge and accept responsibility for identifying and mitigating risks that threaten the achievement of the control objectives stated in management’s description. Auditor must verify if management properly identified all risks that threaten the achievement of the controls objectives stated in management’s description. The SOC 1 audit now requires that auditors identify whether all risks were appropriately identified and addressed and determine what is missing. If a formal risk assessment process has not taken place, the auditor will likely uncover gaps and insufficiencies. Auditor must obtain an understanding of management’s process for identifying and evaluating the risks that threaten the achievement of the control objectives and assessing the completeness and accuracy of management’s identification of those risks. The SOC 1 standard used to say “formal or informal” risk assessment process, but now, the SOC 1 is asking auditors to understand management’s process and assess if it is complete and correct. Auditor must evaluate the linkage of the controls identified in management’s description of the service organization’s system with those risks and determine that the controls have been implemented. Your auditor must attest to whether the appropriate controls are in fact in place. The auditor also must evaluate whether such information is sufficiently reliable for the service auditor’s purposes by obtaining evidence about its accuracy and completeness and evaluating whether the information is sufficiently precise and detailed. Your auditor will be determining whether your risk assessment process is accurate and complete, which indicates that a formal risk assessment is necessary. They are also required to obtain evidence that the information provided is reliable. The last of the changes to SOC 1 audits is that service organizations are now required to monitor the effectiveness of controls at a subservice organization. This new requirement now requires that service organizations not only identify the critical organizations they rely on to provide their services, but also monitor that they, too, are complying with all relevant standards. How to make the shift to the new SOC 1 audit? 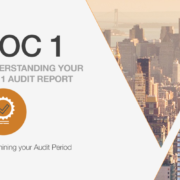 The first thing all organizations should do in order to prepare for the shift in the SOC 1 audit standard is to perform a formal risk assessment. KirkpatrickPrice is helping companies accomplish this by offering our specialized resources to facilitate the assessment for them. There are also plenty of resources dealing with risk assessment and tools to help you get started with documenting your own. The next thing service organizations should do in preparation for the new SOC 1 audit standard is to begin vendor compliance management. When it comes to managing your vendors, you must ask yourself what those risks are that your vendors pose to your organization and the services you rely on them to provide. Is there anything going on in their environment that would cause you to be non-compliant? KirkpatrickPrice’s Online Audit Manager is a great tool that service organizations are using to manage and monitor vendor compliance. If you have any questions regarding the upcoming changes to SOC 1, contact us today. 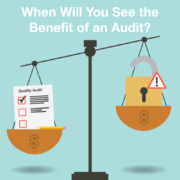 When Will You See the Benefit of an Audit? 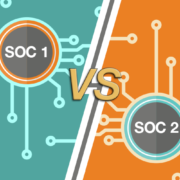 SOC 1 Vs. SOC 2 - Which SOC Report Do I Need? Understanding Your SOC 1 Audit Report: What is an Assertion? Do I need a SOC 1 Type I or a SOC 1 Type II Report?